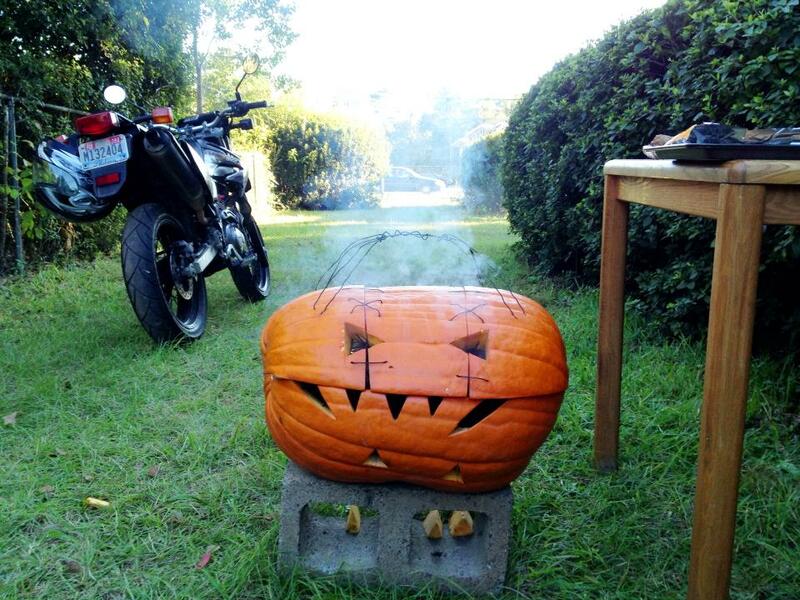 Pumpkin Grilling - The Covered Way! 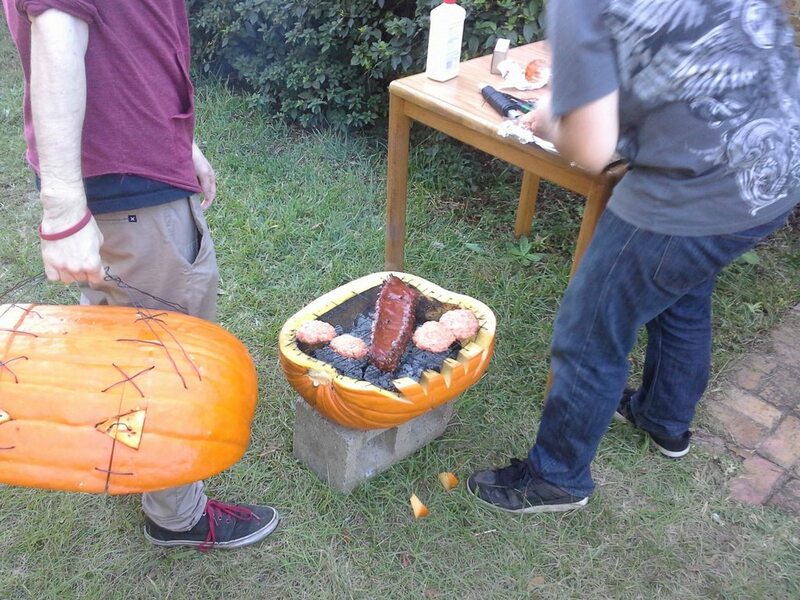 Re: Pumpkin Grilling - The Covered Way! A very green/orange grill. Wonder how the food tasted? Next time we need to tailgate, I'm going to leave the SJ at home and bring a pumpkin and a knife! An edible grill! First one I've seen! "Yes honey, I don't know what I was thinking." I wish Weber made a grill that color. Yes, but minus the weird animals. It's okay, the animals are just missing their skin.